This past June the NextGen Genealogy Network was invited to attend the annual Ontario Genealogical Society Conference in Guelph, Ontario as a vendor. We recently formed a partnership with the Ontario Genealogical Society and were excited about this opportunity! In addition I gave two lectures at the conference (on Prince Edward Island repositories and records and another lecture on how to use NextGen tools in your research). Unfortunately due to some delivery issues with UPS, we were not able to ship out materials out in time for the conference. The show must go on though! 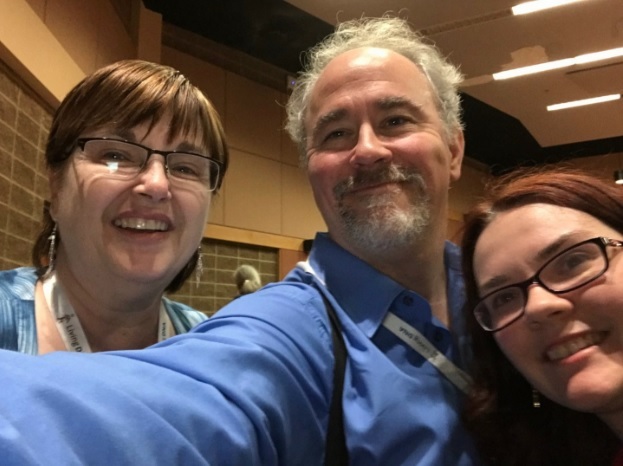 I held a selfie contest with Chief Genealogist of the New England Historic Genealogical Society, David Allen Lambert, who was attending the conference.Anyone that attended and had a selfie with either myself or David was entered into a contest to win a free one hour consultation with David. The lucky winner was Cheryl Martin Levy! Below is the winning selfie. Overall, it was a great conference. There were a variety of topics that were being discussed. As an American, I really appreciated hearing the Canadian perspective and the different resources available (such as Archives of Ontario, Library and Archives of Canada, Canadiana, etc.). There were even rides involved – golf carts shuttled us between buildings. This was a welcome treat given the weather was quite warm in Guelph. We look forward to more opportunities with the Ontario Genealogical Society and other historical societies. 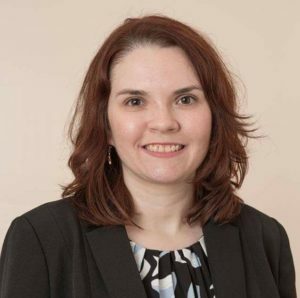 Melanie McComb is the social media coordinator for the NextGen Genealogy Network. She is also a genealogy blogger (known as The Shamrock Genealogist) and international speaker. She has been researching her family history for over 16 years. This entry was posted in NGGN Information, OGS and tagged in OGS.